A slasher film directed by David gordon Green. 'Halloween' is a direct sequel to the original 1978 film. I really enjoyed the music and the titles of the film reminding me of the original. 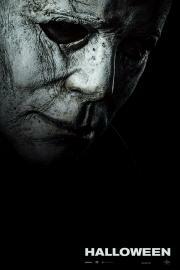 'Halloween' maybe gruesome and violent but it is not at all scary. The original 'Halloween' was very scary, this new 'Halloween' goes for the bloody gore instead of jump scares and bone chilling suspense. After many disappointing sequels, 'Halloween' returns with a sequel that is still very worth watching.